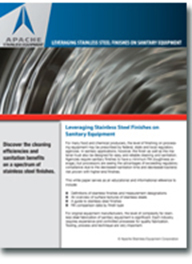 Discover stainless surfaces RA comparisons, textures and finishes required for sanitary and ASME compliance. 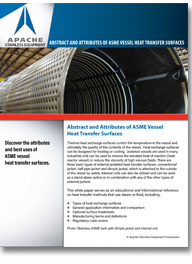 Learn about types of heat exchange surfaces with general application information and comparisons as well as regulatory code review. 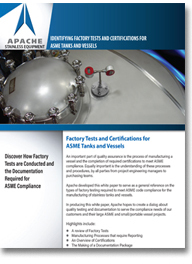 Review factory tests in the production of ASME vessels and manufacturing processes and certifications that require reporting. Thank you for downloading our whitepaper. You will receive an email with the download link shortly.